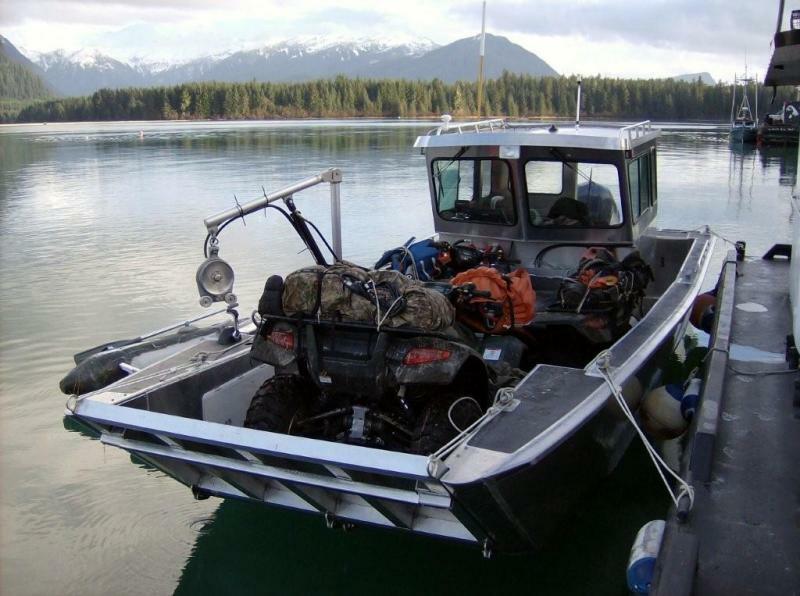 27' x 10’ Landing Craft with walk-around cabin, built for a guided hunting operation in Southeast Alaska. Plenty of deck space for gear and clients. Boat specs: Painted interior cabin with fold-down built-in seating. Single 350 Yamaha, external extra fuel tank for equipment fueling, and nonskid painted deck.